Sold via the Mountain Lakes PBS Arts Auction. 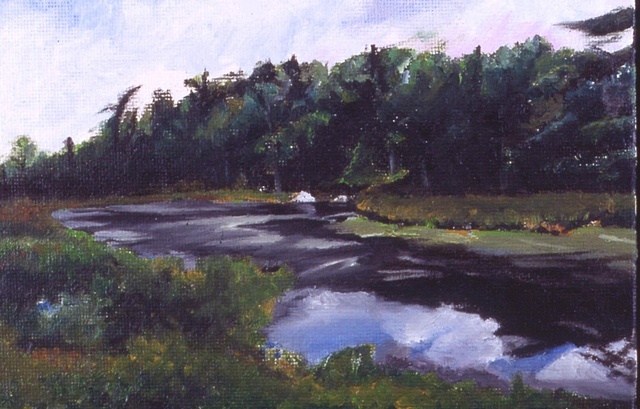 It is from a photo of the trout pond near my grand-father's hunting camp in South-Western Nova Scotia. The rock, just by Barclay's Brook on a pond formed by a beaver dam, is where he liked to stand and cast his line.